I, too, associate pea soup with Holland and mention it every time I make and eat pea soup. Love them both. However, I’ve never had soup as full bodied as this. What a treat! I can well imagine your preference for this recipe has much to do with the people connection that accompanied the eating of this soup. The richness of travel is deepened by those connections and forms the memory bank that feeds the heart. You’re absolutely right, Janet. 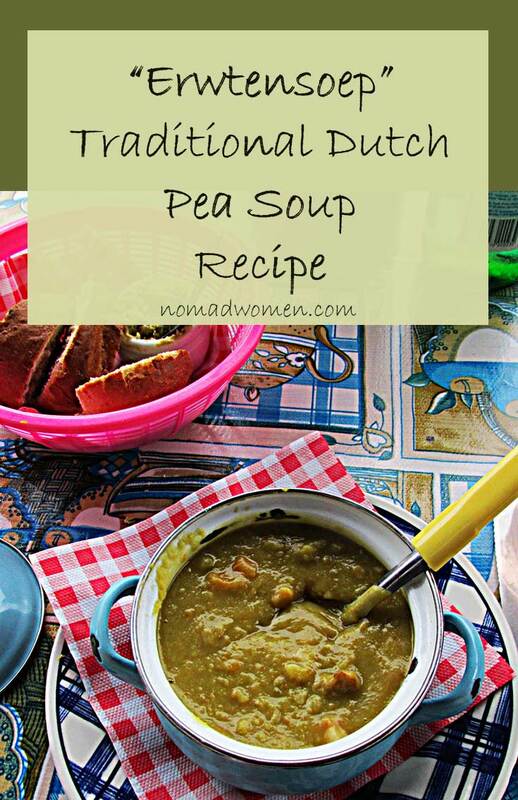 I’ve had many variations on split pea soup over the years, and have enjoyed many of them. But for me, none has had the ability to “feed the heart” like this one. And yes, I agree that far more than what we see, where we go, how beautiful the scenery or how deep the history of a place, it is the personal connections we make in a place that cause it to reverberate in our minds and hearts for years to come. I’ve just returned from two weeks in Switzerland. The Alps ALWAYS feed my soul, but the people contacts are the spice that flavors each day and enrich me even after I return. I believe these connections are a bond of peace that holds the world together. Imagine if more people traveled! And experienced this joining of humanity. Like you, I promote travel to all I meet. I agree completely, Janet. I believe if many more people traveled and experienced other cultures, made cross-cultural connections, there would a lot less strife and war in the world. You don’t tend to kill people you know and love and have shared meals with. Hi Donna. I agree that food makes for marvellous memories as it instills most if not all of our senses. Thx for the pea soup recipe! You’re very welcome, Doreen. I hope you enjoy it as much as I do. Seems like a lot of love went into that pea soup recipe! How nice to spend time again in a place that feels like home. Exactly that, Irene. A lot of love…. I really like split pea soup and make it in the winter. Your recipe is similar to mine except I don’t add pork. 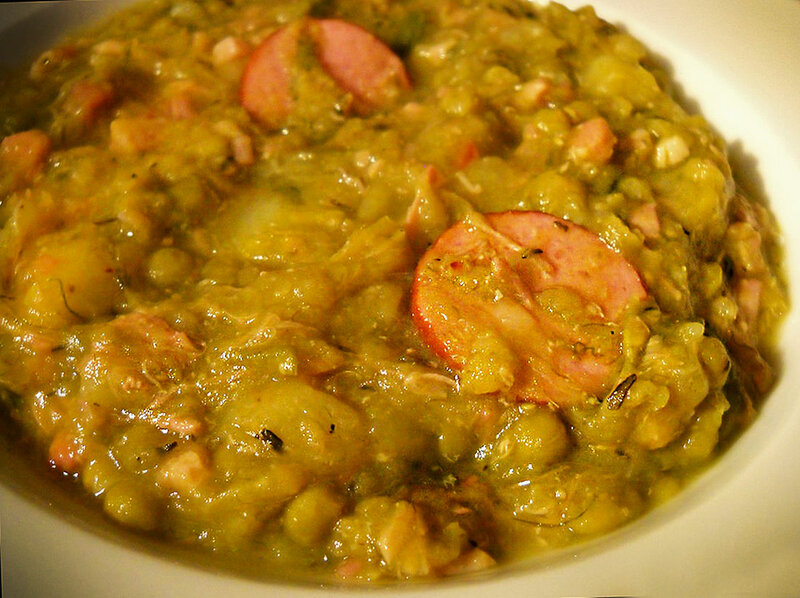 There are so many variations for split pea soup. My mom used a ham hock and sometimes bacon. My aunt didn’t use any meat at all. They’re all good! The problem is strife and war are caused by governments, not people. I’m not sure how to change this reality. The connection made while traveling strengthens the bonds among people but that strength grows ever so slowly and seems insignificant compared with the power and greed of governments. How can we harness the goodness of connection? 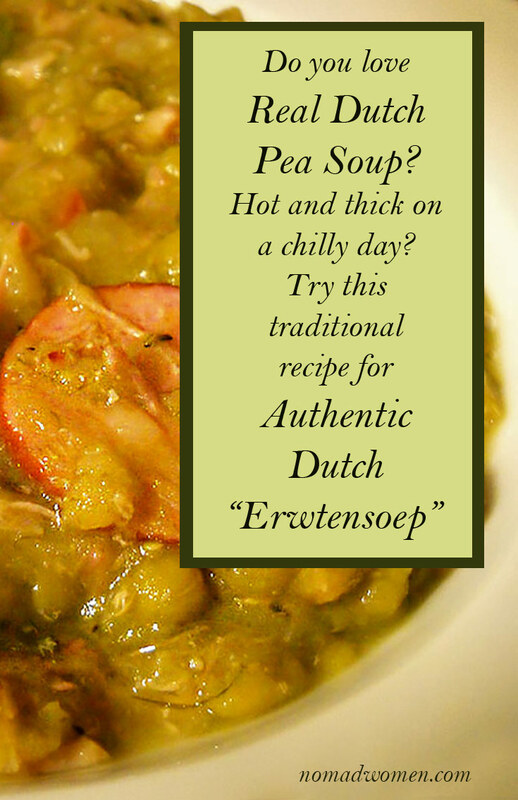 This Dutch Pea Soup recipe has made me hungry–and I just finished dinner! I’ll have to try it out this winter. HaHa, I get it, Carole. It’s great for a cold-weather meal… hearty, filling comfort food. I make a big vat of snert every year on New Year’s Day. It’s similar to your recipe, but I use leeks rather than onions and there’s only pork, not beef, in it. It takes about 3-4 hours to make. Really good snert should be so thick that the spoon stands up in the middle. And, at least here in Groningen, it isn’t served with white bread, but rather with a slice of roggebrood, a rough, heavy dark rye bread, with a bit of mustard on in. Yours sounds perfect, Rachel. And yes, it should be THAT thick. I think Mev. Hendriks only used “karbonade” when she had it on hand or, more likely, had leftovers and added them to the pot. Otherwise, it was just pork and rookwurst. Yep, it’s great with roggebrood. 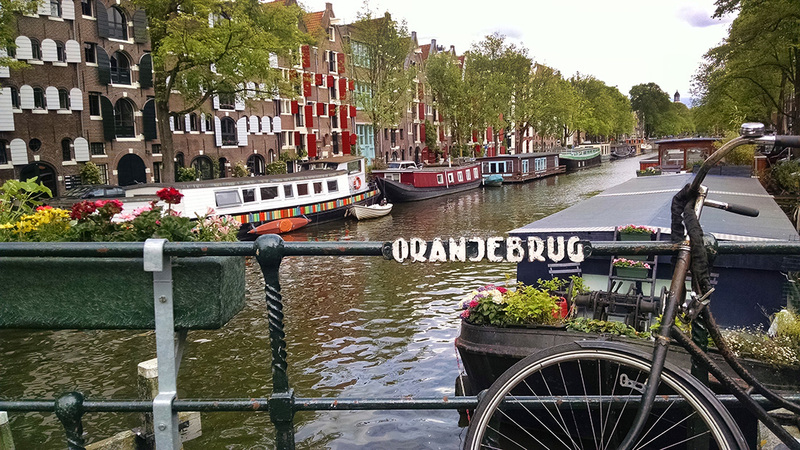 but I still remember the soft, fresh broodjes in that workingman’s cafe near the Keizersgracht, where I slathered about half a stick of butter on one, then dunked it in my soup. Yum. At the time, I was dancing 3-4 hours a day, in class, rehearsals or on stage, so I could afford all those fat calories! 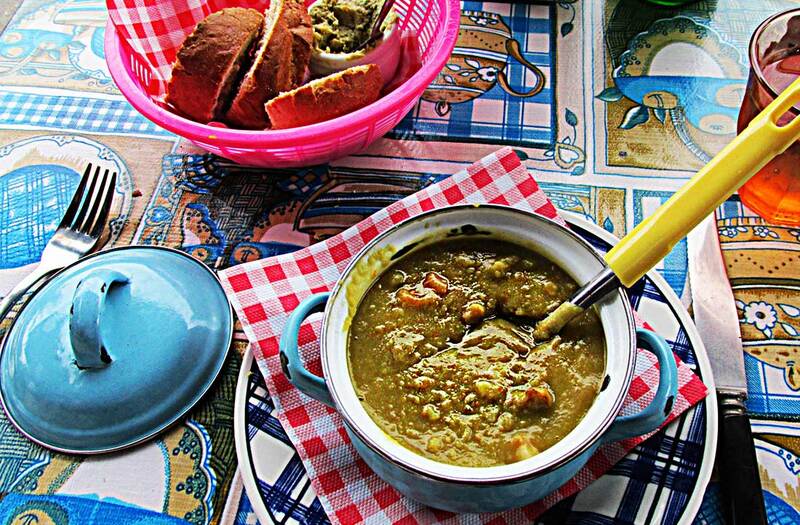 What a sweet memory of having that hearty pea soup at your friend Inez’s family home! Some of those other dishes you had there had my mouth watering, too. How fortunate that you were able to get the recipe and recreate those memories any time you want! Thanks Patti. It is indeed a very treasured memory, from one of the most important times in my life. And the soup is always yummy. Great article, thanks for sharing! You reminded me of my vacation here 2 years ago. We were not lucky with the weather but the rented car saved our trip. I think to go here on vacation again .